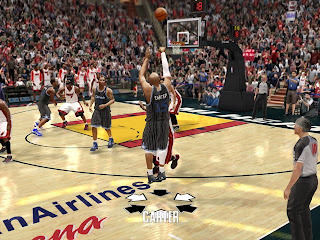 For you NBA Live 10 fans enter this code in the My NBA LIVE section of the main menu: hdogdrawhoticns for new jerseys available for the Cleveland Cavaliers, Golden State Warriors, Minnesota Timberwolves, Orlando Magic, Philadelphia 76ers, Portland Trailblazers, the Toronto Raptors and the Utah Jazz. 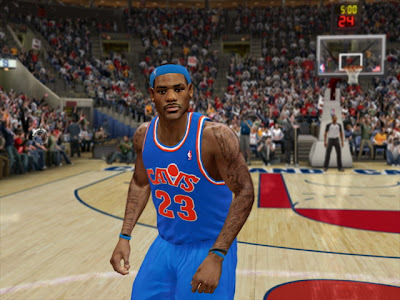 Lebron in his Mark Price era Cavs jersey. 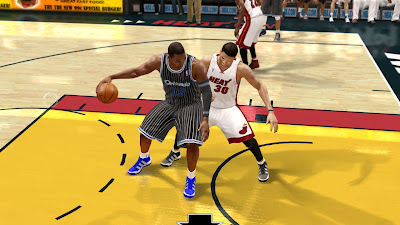 I wish the Magic would go back to these unis full time. I loved the pin striped black uniforms. Brandon Roy and LaMarcus Aldridge rockin' the Bill Walton era Blazer jerseys. 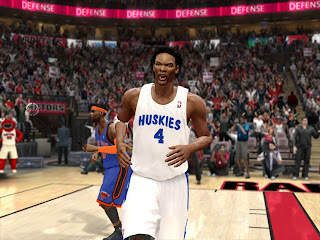 Here's Chris Bosh in his Toronto Huskies. 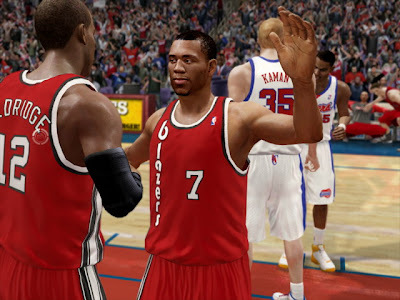 Visit EA Sports' In The Paint for more in game photos of throwback jerseys. Before There Was Good Hair There Was . . .